A disappointing tale that has some good murder mystery pieces, but is very poorly put together. 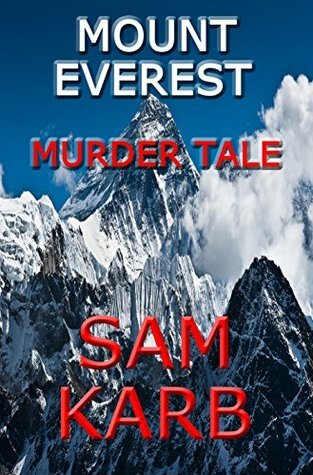 The heiress to a New Zealand business empire is climbing in the Himalaya with a group of friends and family members, when she falls to her death off the side of a mountain. A New Zealand detective is vacationing nearby, after a fall-out with his superiors back home, and is pulled into the case by Nepalese counterparts, interviewing each member of the party to determine who might have had the means and motive for the killing. It's not a bad set-up, with an interesting setting, and plenty of classic traits of an old-fashioned murder mystery (pool of suspects, isolated crime scene, lots of motives and secrets, a few clues, intertwining relationships etc), but unfortunately the author fails to bring it together well. The most disappointing aspect of the short book (25 pages) is the writing itself. It reads very clunky, with lots of poor phrasing, repetition, and just flat-out strange ways of putting things. At first I thought it just needed a good editor to significantly tidy it up - it reads like a mind-dump unedited first draft or synopsis - but then I began to wonder if the author was actually not an English speaker, given the way some things were put. It does read a lot like a Google translation from another language. The characters in the party have promise, but in such a short book are a little cipher-ish in nature. Their interactions with the New Zealand detective are pretty straightforward, and there is plenty of expository dialogue. It was a nice nod to Everest history to have characters called Hillary, Mallory, George, and Edmund (one for the history buffs). After interviewing each suspect and examining some evidence found on the body, the detective rushes to the airport to prevent the party leaving, before gathering them all in a room to reveal the killer. All very classic cosy mystery. Unfortunately, here yet again the writer drops the ball - the eventual unveiling has some interesting background, but none of that was ever hinted, even in a much-hidden way, to the reader. The detective does things off screen we never hear about, even in an aside or briefly mentioned way, and makes conclusions about evidence the reader wasn't allowed to see or deduce, because the writer never shared any of that information. So it's a big fail on the fairplay stakes too. To crime readers, I'd say don't bother with this book at all. To the author, consider a rewrite and some editing - there are some gold flakes amongst this slurry, it just needs a bit more work to bring them to the fore. Right now, feeling generous, I'd give it 1.5 stars. This is an honest review! I do feel for the author. But despite where it fails significantly I do like that you’ve included some aspects of the book that work – set-up, setting etc. Your suggestion of a rewrite and some editing is very helpful. Hopefully the author takes this on board. Was that 25 pages or 250 pages?? It is actually only 25 pages Joanne (not a typo), so more of a short novella. I was okay with that - short stories are good to read too, but the other issues were frustrating. There's the germ of a good story there.